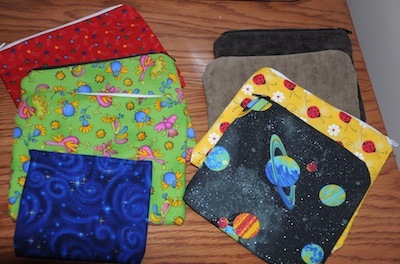 **If you'd like a smaller zipper bag cut out interfacing and fabric 5x9 inches and use a 4 inch zipper. 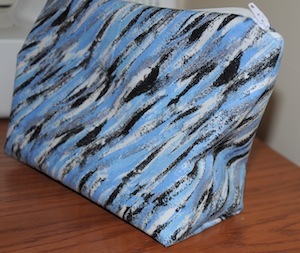 Cut interfacing and fabric, 12x7 for a 6 inch zipper. See below for a video on sewing zippers. Layer the interfacing and one 8x 12 rectangle material on top of each other so the right side is visible. Iron together. 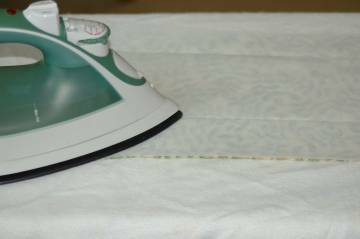 Some interfacing is fused to the material with an iron, some has to be sewn together. 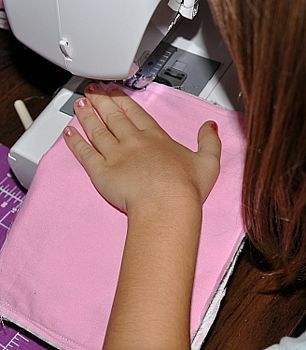 Read the instructions that come with the interfacing to determine. Place the other piece of material on top of the interfacing, right side up, so you have a double sided piece of material. Pin in middle to secure together. 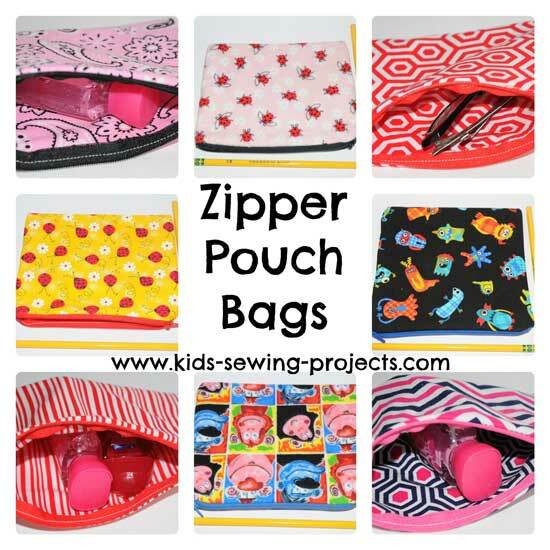 Set aside until the next lesson, where you will learn about adding zippers. Fold in half. 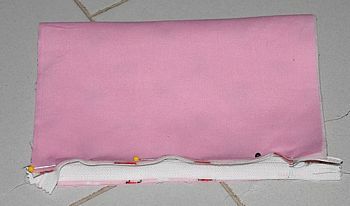 Pin zipper to the top edge as shown in the picture. 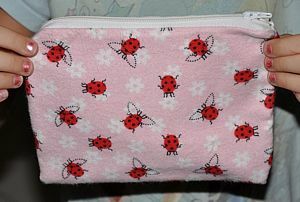 ~Note, if making different lining the zipper will go on top of the outside material. Unzip the zipper half way. Start to sew and then move the zipper up to the top and continue sewing. Pin zipper to opposite side. 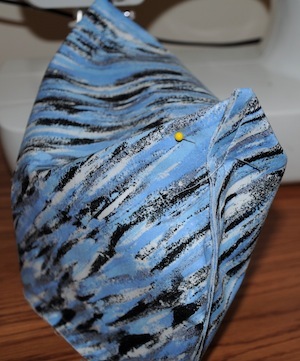 This method is great for making a larger zipper bag that has a more boxed shaped to the bottom. Follow the directions the same as the zipper pouch above. Holding your zipper bag with inside out. Pinch the bottom edge and fold the opposite direction it normally lays at making a triangle. 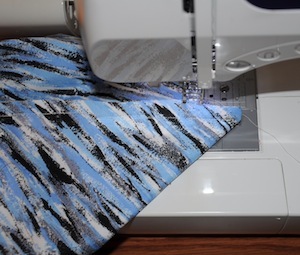 Sew across the triangle from one edge to the other. 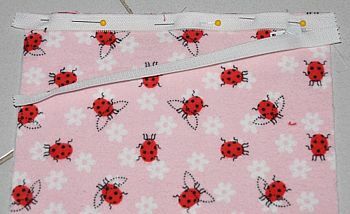 To Projects Index from how to sew a zipper bag.